"Fletcher was so awesome when he spoke to the students at Sea Isle. He let them know that no matter what life brings they can succeed." "Fletcher had the undivided attention of over 700 middle school students. They were speechless and completely focused on his every word." "Fletcher’s message to AutoZone was very inspirational and moving. Seeing his uplifting “Go get it ” attitude and hearing his “safe driving / The Sky is not the limit” message really resonated with the entire company!" "Fletcher delivered a very heartfelt, personal message that really resonated with the team." 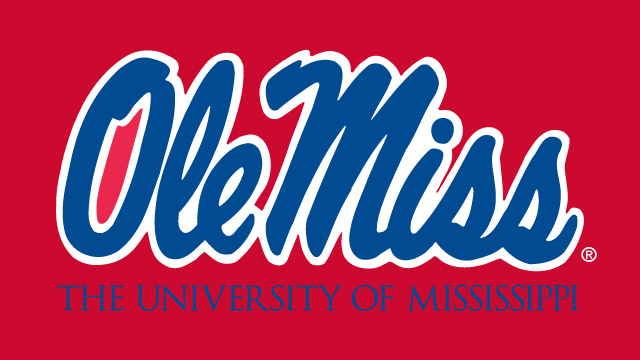 – Rhett Higginbotham – Ole Miss Supporter. "Resilience & Faith are the words I would use to describe what Brother Fletcher Cleaves Jr has. He is being used by God to demonstrate and encourage before all who hear of God’s faithfulness in his life. His faith & never quit attitude is an encouragement and a challenge to all who hear his story. Young or old." "Hearing Fletcher speak, was truly amazing. For him to be so strong after what he went through showed me that none of my struggles are as hard as they may seem. Fletcher, you opened my eyes to the struggles that one person have are nothing compared to what someone they know could be going through. Ever since Choices, I have lived by your motto, "The sky is not the limit!" "Hearing Fletcher speak was not only inspirational but it allowed me to gain a new perspective on Life. That you have options:(optimism, optimistic, optimize)." "Fletcher's inspirational message "the sky is not the limit", encourages us all to never give up no matter what obstacles come our way." "Fletcher's Message stressed the importance of not driving distracted and the devastating consequences it can have on somebody's life." "Fletcher's story of his perseverance and his determination to continue the work of God is evident through his humbleness and dedication to the youth in or community." "Fletcher Cleaves is a remarkable young man. Having him at Greater Faith community church was a privilege and a blessing you can see GOD work in action. His story strengthens and motivated others, so they can get through tough times and know GOD has a purpose for their life. He is definitely a strong motivated." "Fletcher Cleaves' words to the Lindenwood Elite basketball team were admirable, inspiring and just short of breathtaking!" "Fletcher captured the minds and hearts of the audience with his story, while renewing hope and faith to reach beyond the sky. His message was powerful and his gift is full of passion. Fletcher is a must see presentation for all ages!!!" "Fletcher’s sky is not the limit speech did inspire me to push further in my career, which is mostly why I am where I am today competing in the world class championship." "Almost a year later, I am still so thankful to have been able to meet and hear the story of Fletcher Cleaves. Not only has he opened our eyes to the dangers of distracted driving, but he has also taught us that the sky can't possibly be the limit if there are footprints on the moon. Fletcher has taught me to never give up on my dreams and to not reach for the sky, but to reach for the stars."